LCCHS (Lahore Cantt Cooperative Housing Society) was established on 19 March 1975 with the Registrar Coop Punjab. The business of the Society was carried out through a Management Committee (MC) consisting of 11-15 members. During 1989, in the general meeting of the members a byelaw, authorizing serving army officers to cast vote through postal ballot for electing MC members and making policy decisions was passed. This did not suit to some members due to their vested interests. Therefore they challenged the decision in the High Court. In 1991 High Court suspended the MC and entrusted all the power of MC to Commander Lahore Corps. 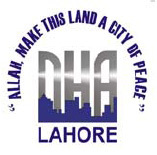 In order to improve the efficiency of LCCHS, the Society was converted into Defence Housing Authority on 2 Jul 1999. first through a Provincial Ordinance and finally through Federal DHA Order of 19 September 2002.